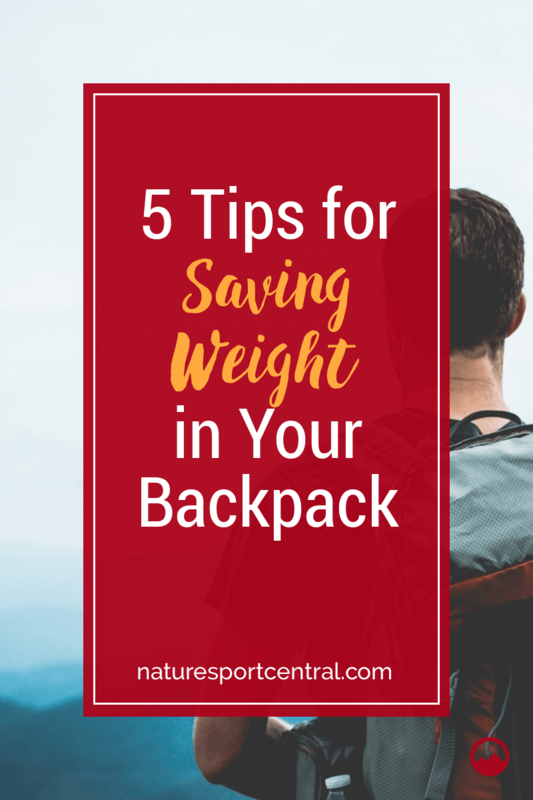 If you’re heading off camping which requires backpacking and lugging your gear with you, then you’ll be looking at saving as much weight as possible. Here are five easy ways where you can save precious weight before you start hitting the trails. When deciding what items to take with you, you should consider ones which can be used for something else. A good example is a down jacket. Although these can be somewhat big and bulky, they can keep you warm around camp on the evening, and then be rolled up to be used as your pillow. A good length of Paracord is also useful because it can be used for multiple things. Slinging a length between 2 trees and draping over a tarp can make a superfast rain shelter. Extra clothing should remain at home. There’s no need for multiple items of the same things (just in case). What you should look for are quick drying layers of clothes which complement each other. One pair of shorts, one shirt, one light jacket, one waterproof jacket, etc. There’s no need for doubling up and finding out you didn’t need any of it. In this, you also need to consider your stove. If you are camping for a short time, there are some great lightweight gas stoves, or you might be thinking of using a campfire for cooking. Many cooking utensils and pots have double uses and can be made from aluminum, so they are ultra-light. Food should be planned because food which requires cooking will be heavier than freeze-dried meals where you only need to boil water. You can also take plenty of dried fruits or trail mix rather than fresh fruits to keep your energy levels up. This is crucial, and you might think you need to carry a large quantity. Water is extremely heavy, and having access to it while you are out camping all depends on where you’re going. If you start with enough, you can then pack water purifying tablets and grab some fresh water from every source you pass on your route. With this in mind, you should also stock up on your fluid intakes at the water source rather than waiting until you are back on the trail. You can even get collapsible water containers which are much lighter than rigid plastic ones. A couple of these can be packed so you have a source of drinking water and a water source for washing etc. This tip is basically a three in one camping gear tip and involves the three most significant items you will be taking with you. Tent – There are plenty of companies which produce lightweight tents specifically for backpacking. These can be from 1 to 2 person up to 4 person. However, to give you plenty of space, it is advisable to have a larger tent than you need. You might find 2 smaller tents works out better than one larger one, and then you can split the carrying. Sleeping bag – These are generally light, but the materials they are made from can make your experience good or bad. If you get wet, a man-made fiber sleeping bag will dry quicker than natural materials. Some will also keep you dry while they are wet on the outside. With these, you should consider a lightweight camping roll to place under your sleeping back to prevent the cold and hard ground. Backpack – This is the one thing apart from yourself which is going to bear a load. Backpacks come in numerous structures and weights. There is no use having one which ends up too small or one which is too large. You also need to see how it feels when it is loaded because some backpacks fit you better than others and distribute weight better. An ill-fitting backpack will make any load feel heavier. Choosing wisely can make a big difference if you are out trekking rather than just walking to a campsite which is off the beaten track. You also need to consider items which you can’t do without on your trips such as flashlights or lanterns and first aid kits. One other thing which is often overlooked when aiming to save weight is if it is a family camping trip. Children will want toys or something to keep them occupied. Catering for their needs could end up a backpack full just for them. Some hardened campers advise taking a pair of scissors to your backpack and cutting off the unnecessary straps and buckles. It saves hardly anything, and you might find one day you need an extra piece of strap and a buckle.